Educational research constantly reminds us that regularly hearing stories and rhymes is crucial for preparing young children to succeed in school and later in life. Television, even children’s educational programs, can’t fill the void. 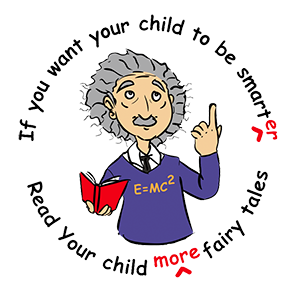 To enable children to hear stories even when there is no adult to read to them, I had a dream of creating audio CDs of fairy tales and nursery rhymes to distribute free. In 2006 we began recording fairy tales in the office of Edgar LaMotte, then the Manager of Augusta State University’s Media Center. We had no studio, but Edgar’s talent and resourcefulness as audio engineer gave us an excellent start on an ambitious project. I had no budget, however, and no realistic prospects for acquiring one. Service on a 2007-2008 University System of Georgia committee to study the core curriculum earned me a salary supplement of $3000. This supplement funded an extremely successful October 2008 production of Sophocles’ Antigone, directed by Rick Davis, aimed primarily at high school and college students. The production earned nearly $5000, which, with the help of Dr. Lillie Johnson (who provided endless guidance and assistance), I was able to spend on this project. I rented time in the university Communications Lab’s audio studio and began recording with student audio engineers Lindsey Hart and Chris Pope, who quickly developed superb editing skills. Through the years Augusta State University faculty, students, staff, and community members performed as readers. (You can find their names in the Acknowledgments section.) Their hard work culminated in the more than two hours of nursery rhymes and more than eight hours of stories, plus longer children’s works like Alice and Wonderland and the Brer Rabbit stories gathered on this site. I originally intended to create a few purely audio CDs, each limited to a little more than an hour of audio. By May 2010, I had planned to create sets of ten: six audio CDs of stories, two audio CDs of mixed stories and rhymes, one audio CD of pure rhymes, and one DVD of rhymes with pictures. Anna Kisting had already designed beautiful multi-colored labels, employing different patterns of images for each of the ten discs. In 2010, working with the Richmond County School System (RCSS) we won an Improving Teacher Quality state grant to work with kindergarten teachers: “Using Nursery Rhymes and Fairy Tales to Promote Literacy and Pre-Literacy." (Discussed in the Introduction above; I served as Director of the grant and Dr. Paulette Harris as Co-Director.) The teachers, however, immediately, unambiguously, and unanimously redefined the audio project. (You may remember from school how bossy kindergarten teachers can be!) They whole-heartedly supported the goal of encouraging children to listen to more classic rhymes and stories, but demanded that every rhyme and story be accompanied with both pictures and text. The audio project had roughly 4 months to turn into an audio-visual project. I had planned on images to accompany 60 minutes of audio, relying on about 100 black and white drawings by Charles Robinson (from Walter Jerrold’s The Big Book of Nursery Rhymes) scanned and refined by Amy Richerson, and about 100 more Frederick Richardson color pictures from the Volland Mother Goose, many of these digitally colorized by Joey Hart to make the faces more socially diverse. I now needed images—and text—to accompany another hour of rhymes and eight hours of audio. The ITQ grant administrator in Athens, GA (now Dean of Education at Georgia Southern University), Dr. Thomas Koballa, authorized us to redirect some of the grant funds to create a master from which to copy discs for the kindergarten teachers to use in their classrooms. Chris Pope agreed to do the technical work of creating the disc. His sister Catie agreed to colorize even more of the Volland nursery rhyme pictures, to locate and coordinate new images for the Mother Goose and Father Gander rhyme sections, and to find and arrange pictures for all fifty stories, creating new illustrations when necessary. On a bare-bones budget, these siblings did extraordinary work. Money ran out with the creation of the prototype master disc—I couldn’t pay to duplicate all the copies necessary. Under the guidance of Helen Hendee, Victoria Hann of ASU’s Development Office met with representatives of PotashCorp who in 2010 generously donated enough money to provide a free DVD—a ten-hour audio-visual library—to kindergarten and pre-K students in the Richmond County school system, with additional copies for each kindergarten and pre-K classroom and each elementary school media center. An anonymous donor allowed us to provide discs to kindergarten students in Madison County. An even larger donation by PotashCorp in 2011, sizeable commitment from the Richmond County School Board, and an anonymous donor allowed us in Fall 2011 to provide 30,000 discs individual students and to classrooms in eleven Georgia counties (Burke, Columbia, Harris, Jefferson, Jenkins, Madison, McDuffie, Richmond, Warrenton, Washington, Wilkes) and four in South Carolina (Aiken, Allendale, Barnwell, Williston). In 2013 we received a second Improving Teacher Quality grant, “Using Rhymes, Stories, and Digital Dialogic Reading Games to Improve Literacy,“ which (1) allowed us to place online all the material from the DVD, plus a good bit of additional material. You’re able to access this site now thanks to Georgia’s ITQ program and its Director, Dr. Katherine Thompson. (2) The grant also allowed us to conduct classroom seminars for kindergarten teachers and to create an online 20-hour course on using rhymes and stories to promote literacy and pre-literacy. Even now, teachers can take the course and earn two PLUs (professional learning units; interested teachers should email us at rhymeazoo@augusta.edu). (7) to initiate creation of a new app featuring phonics games and an interactive picture-word glossary. In 2016 and 2017 an anonymous donor contributed funds which allowed us to complete the app Brainy Phonics (also featuring pre-K and kindergarten sight words), now available for free at the Apple Store, and the Android app Brainy Words 2000, also available for free online (find links to both, and to the Rhyme A Zoo app, toward the top left of our website’s home page). Jennifer Adams, Nelda Allen, Jana Booker, Mary Chavis, Catherine Draine, Christine Green, Joan Green, Debra Hall, Allison Hardy, Tiffany Harris, Debbie Hopkins, Jenny Landrum, Margie Maccario, Connie Mains, Amy McManus, Deborah Mobley, Ada Morgan, Ashley Pulaski, Karole Putnam, Joy Ricketts, Ann Rosado, Dawn Sanders, Tamera Saxon, Erin Shaw, Annette Simpson, Angenette Singfield, Lisa Sorrells, Cathy Spivey, Djoii Bing Steffer, Samantha Terry, Sandra Thomas, Rita Vasquez, Rhonda White, Andrea Yingling. All audio on this site and most of the artwork is under copyright by Georgia Regents University, all rights reserved. Texts of many stories are primarily the work of unacknowledged translators of Jakob and Wilhelm Grimm, Hans Christen Andersen, Charles Perrault, Peter Christen Asbjornsen and Jorgen Moe, and others. “The Little Engine That Could" was taken from My Bookhouse. All these texts were in the public domain, though most of these have been edited by myself (Walter Evans), some more than others, to make them more accessible to contemporary children. (“The Tale of Peter Rabbit," of course, is absolutely perfect and no sane editor would dare alter a syllable of Beatrix Potter’s text.) This site’s versions of “Jack and the Beanstalk," “The Three Billy Goats Gruff," “The Gingerbread Man," “Molly Whuppie," “Anansi," and many other stories, including most of the fables, and the conversational texts for Mother Goose and Father Goose visits are my own and I claim full copyright protection for these. Rhymes identified simply as Mother Goose and Father Gander (or Father Goose) I have cobbled together from a variety of sources. The rhymes designated as Volland represent the whole of the classic collection edited by Eulalie Osgood Grover with illustrations by Frederick Richardson, though Catie Pope and Joey Hart have altered many of Richardson’s color images in the interest of diversity. The rhymes designated Jerrold comprise a selection from the classic Big Book of Nursery Rhymes edited by Walter Jerrold with original black and white illustrations by Charles Robinson, colored for us by Kamila Wodecka. Among the other classic illustrators: Edmund Dulac, Warwick Goble, Kay Nielsen, Arthur Rackham, Beatrix Potter, etc. Some other alterations of color images, and some original pictures, are the work of Catie Pope: “How Fire Came to the Indians," “Tortoise, Elephant, and Hippo," and “Solomon Grundy" from Mother Goose; and from Father Goose “One, Two, Three, Four," “Eansy, Weensy Spider," and “Star Light, Star Bright." Tracie Grace Riesgo created art for the stories “Molly Whuppie," “The Lion and the Mouse," and “How Anansi the Spider Got His Long Legs."